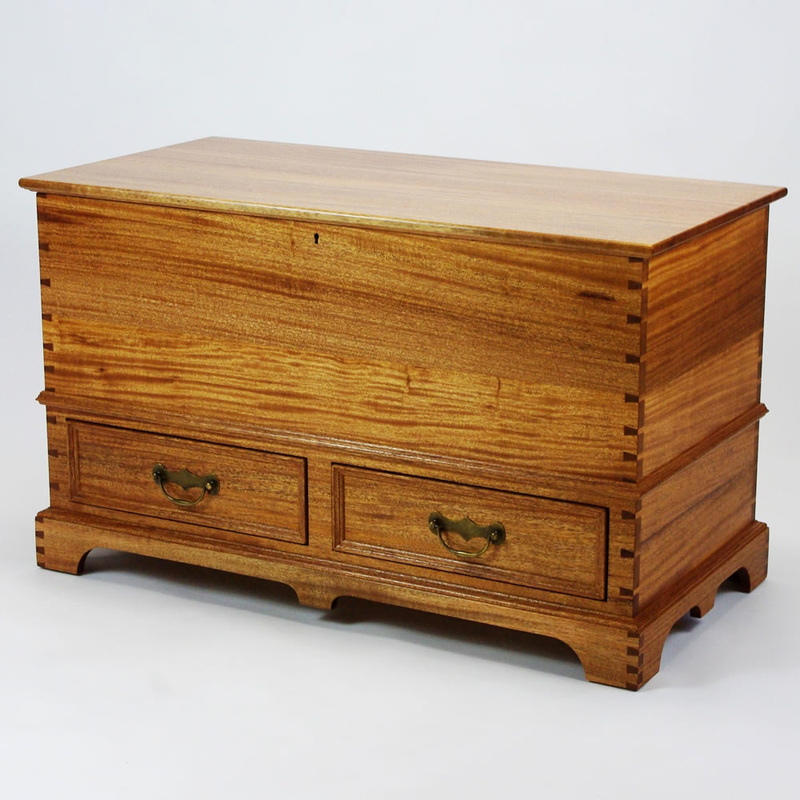 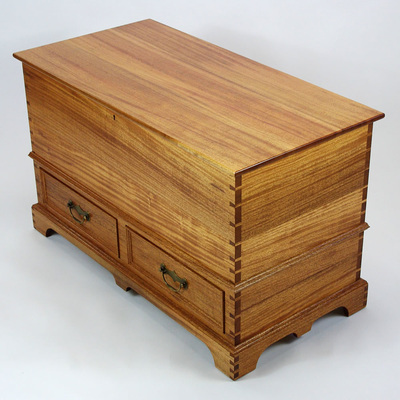 I designed and custom built this dovetailed African mahogany blanket chest for my client’s young daughter to be used for generations. 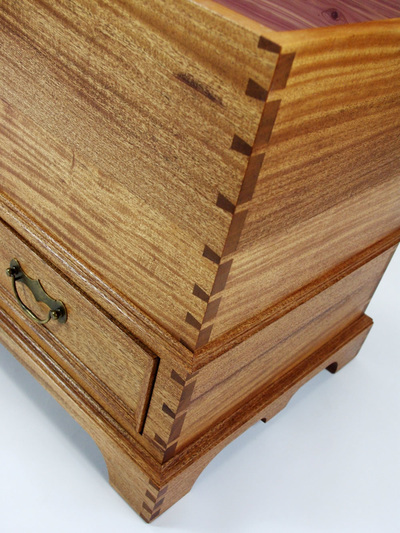 The amazing lumber was quatersawn to expose the beautiful ribbon figure, and the dovetail joinery is showcased as a special design element to add beauty as well as strength to the piece. 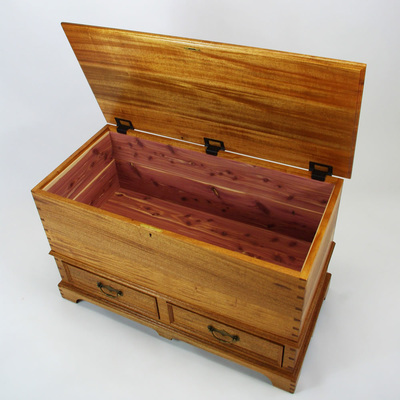 The inside is lined with solid aromatic cedar. The hinges will hold the top at any angle, as well as slow the closing of the top for the safety of little fingers. 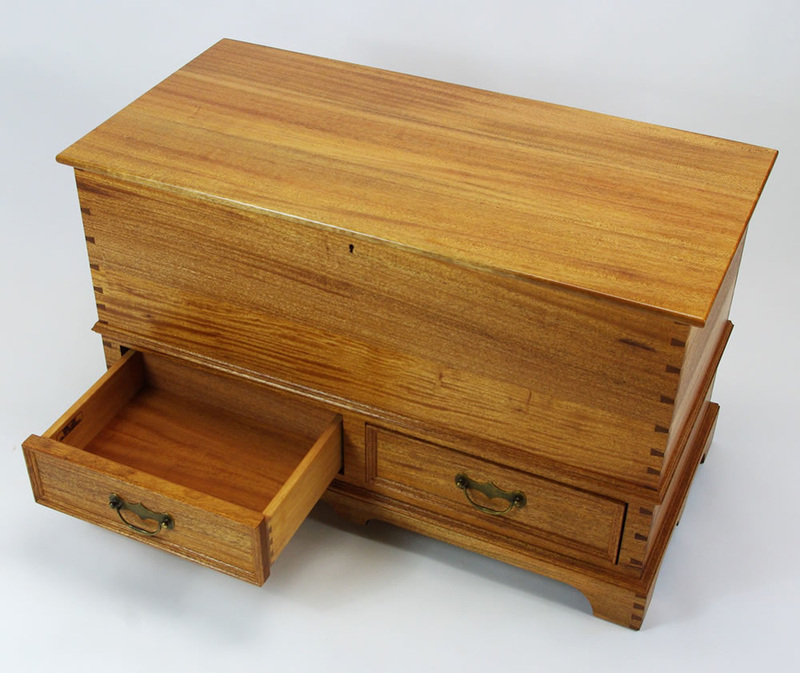 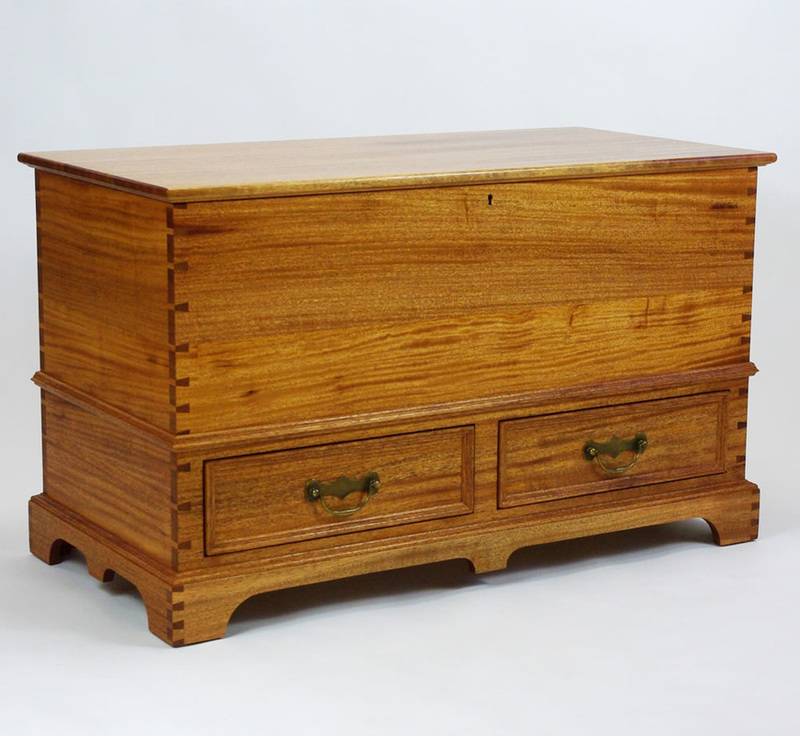 The piece features nicely figured solid African mahogany dovetailed drawers with hidden under mount ball bearing drawer slides with a nice soft-close feature. 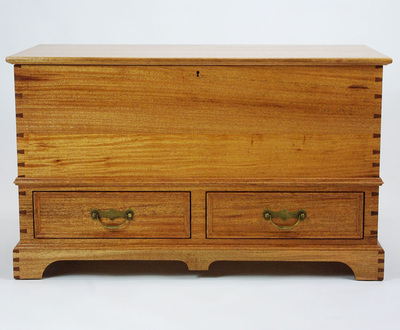 The mahogany color will deepen over time to add even more natural beauty to the natural wood of the chest. 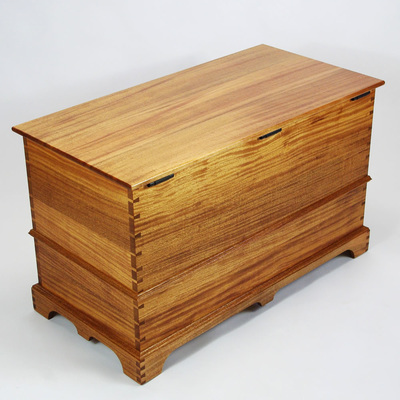 ​The piece is hand rubbed with multiple layers of oil polyurethane to highlight the figure of the wood and provide maximum protection.